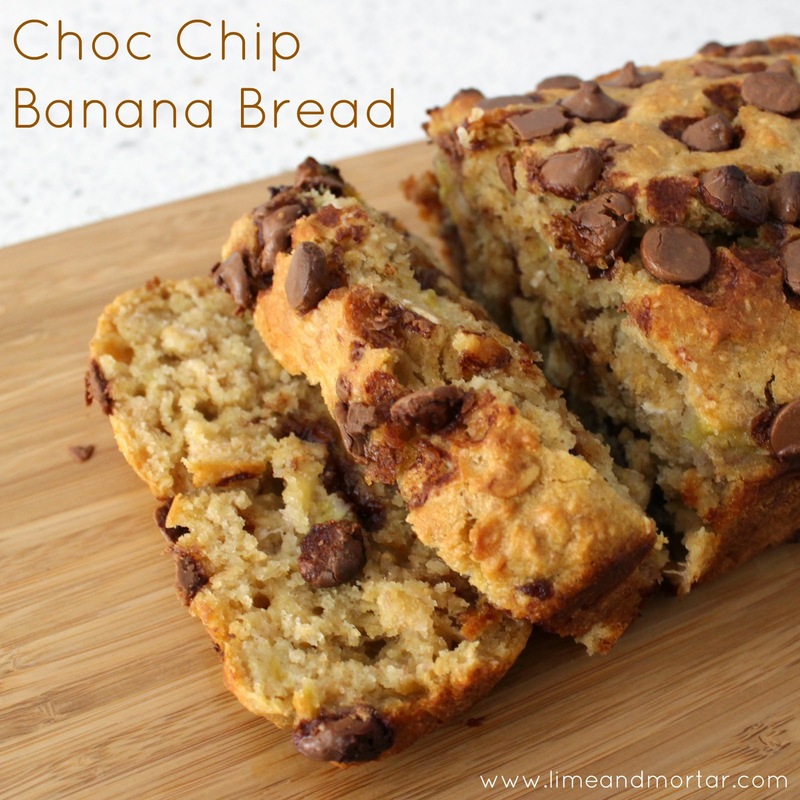 Banana bread is a favourite in my house. It is lucky to last longer than the day it's baked. 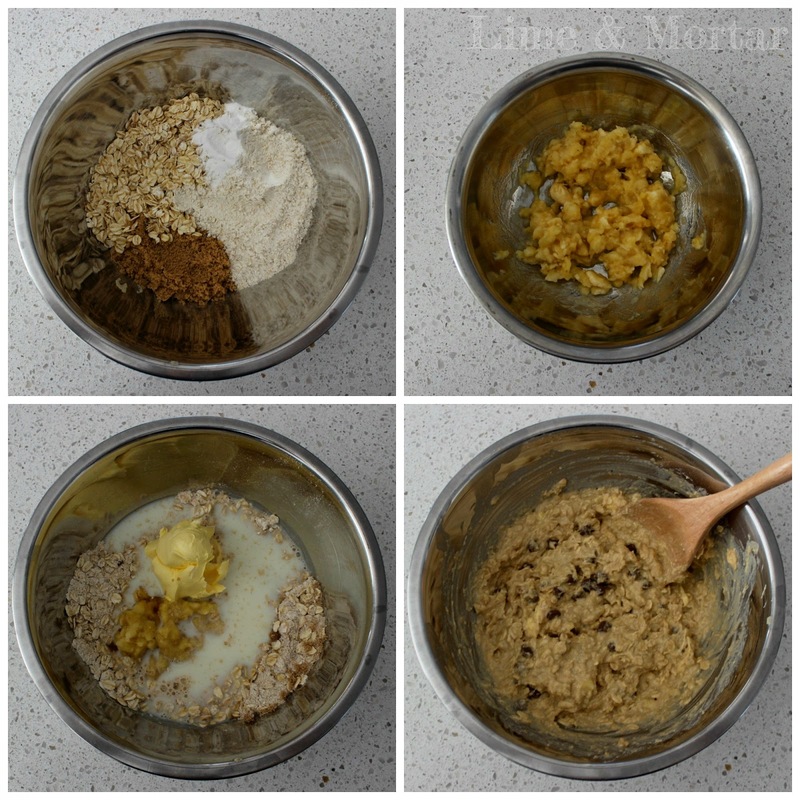 I like to play around adding different ingredients to the banana bread like peanut butter, chia seeds, walnuts and more. But the one that always goes down well with everyone is choc chip. I usually use dark chocolate but today i only had milk choc chips. Both taste awesome! 1. Preheat oven to 180C fan forced. 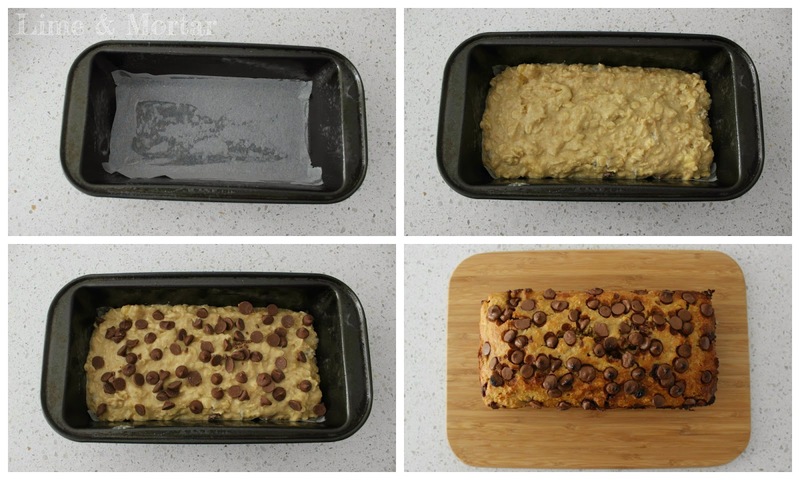 Line a loaf tin with non-stick baking paper. 2. Combine the oats, flour, sugar and baking powder in a large bowl. Make a well in the centre. Mash the bananas in a separate bowl until almost smooth. 3. 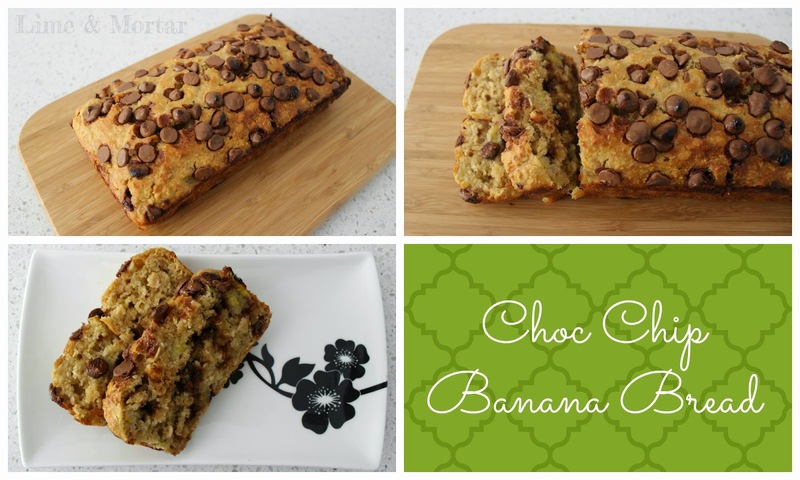 Add the banana, butter, milk, vanilla and choc chips to the dry ingredients. Mix until well combined. 4. Pour the mixture into the lined tin & sprinkle extra choc chips on the top. 5. Bake on middle rack for 30-35 minutes or until a skewer comes out clean when inserted. 6. Leave in the tin on a wire rack to cool down. Enjoy warm or cool. Its really good, i hope you love it too!